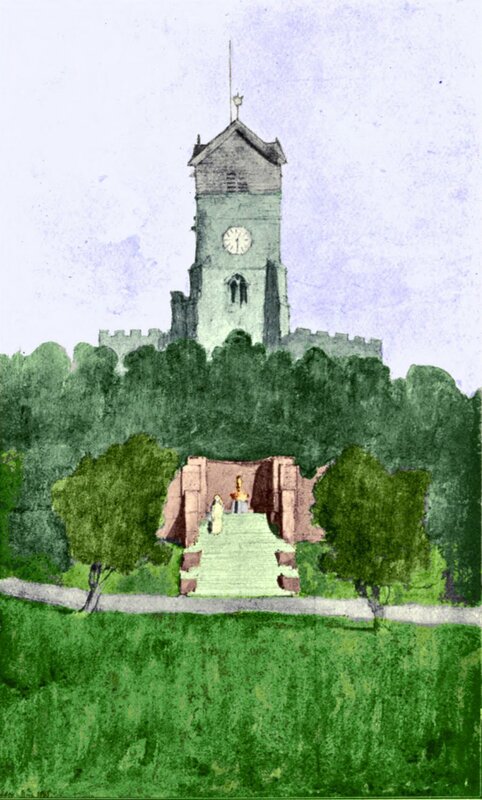 The Arts & Crafts Church is a part of Middleton’s Golden Cluster – a place with five centuries of heritage which would look very different today had it not been for Edgar Wood. 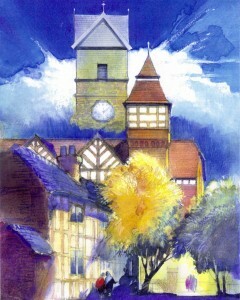 Edgar spent his life reshaping his home town along arts and crafts lines. He designed over sixty buildings while also preserving its heritage. His father and brother were local statesmen and he had considerable influence. Nevertheless, Edgar Wood’s designs were so ahead of their time that he had many vocal critics. He naturally kept a very low profile and worked behind the scenes, especially on publicly funded projects. 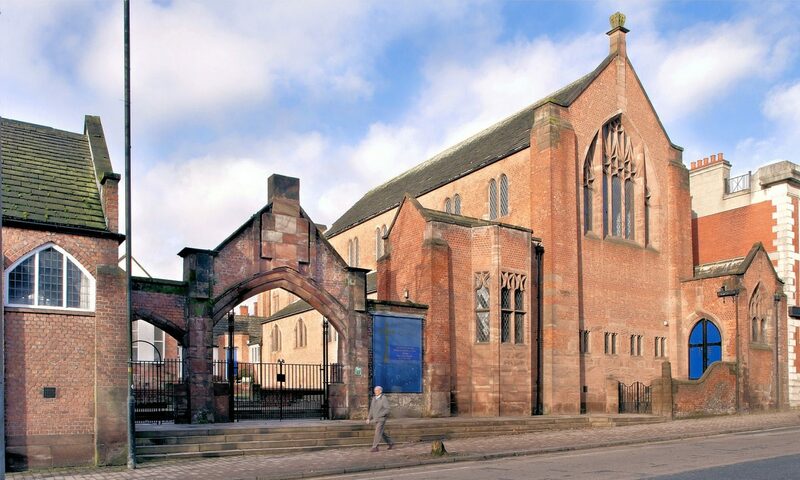 The arts and crafts Jubilee Library of 1889 is straight from Edgar’s copybook but was fronted by a Bury architect, Laurence Booth. Records similarly show that Edgar conserved St. Leonard’s Parish Church in 1905 using the name of the mainstream church architect, G. F. Bodley. Even his role as designer of Long Street Methodist Church was kept a close secret until the very last moment. Edgar Wood redesigned Jubilee Park by removing the trees breaking the skyline, planting Rhododendrons and laying out paths to a grand art deco staircase and drinking fountain, all framed by two ornamental cherry trees. 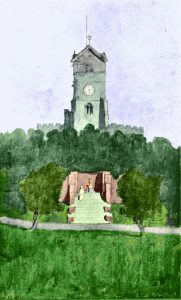 St. Leonard’s church overlooks the earlier Jubilee Library and in 1905, Edgar completed his Jubilee Park project by remodelling the landscape and building a grand art deco staircase and drinking fountain to set off the church tower. It was Europe’s first art deco design. When Ye Olde Boar’s Head P.H. was to be demolished to make way for a new Town Hall, Edgar worked quietly behind the scenes with the Society for the Protection of Ancient Buildings in London to thwart the plans. It is now the oldest pub in Greater Manchester. Middleton’s Golden Cluster is thus Edgar Wood’s legacy. His pioneering architecture, town planning and conservation activities created an attractive leafy place enriched by ancient buildings and cutting-edge arts and crafts architecture.